We received a number of feedbacks from Jonathan Sarfati’s response to André of New South Wales, Why is CMI so dogmatic on 24-hour creation days? The first, by Josh C. of the USA, raises questions that have already been answered in Refuting Compromise. Some other feedbacks follow with brief responses from Dr Sarfati. I would whole heartedly agree with Andre. I’m a committed Christian and Biochemistry PhD, and see no theological necessity for 24-hour days, and to see fellow christians clinging desparately to this artefact is extremely disheartening. How is it an ‘artefact’ when normal-length creation days is the direct teaching of Scripture, as eminent Hebrew scholars such a James Barr and Ting Wang recognize. This is why most biblical scholars before the rise of long-age geology accepted Genesis as written, including Josephus and later Jewish scholars, most church fathers including Basil the Great, Thomas Aquinas,1 and all the Reformers including Luther and Calvin. Undoubted Homo sapiens ‘dated’ before Ross’s ‘date’ for Adam? Original sin is connected with human death in Romans 5:12–19. But if uniformitarian dating methods are believed, then there are undoubted Homo sapiens fossils far older than any biblical date for Adam, even if genealogies were far stretched out, and of course, fossils are the remains of dead creatures! The recent discoveries of Homo sapiens fossils in Ethiopia ‘dated’ to 160,000 and 154,000 years ago have provided further evidence against Ross’s anthropology. Dr Tim White of the University of California, Berkeley, discovered them in 1997 near Herto, a village 230 km northeast of Addis Ababa. It was on the cover of the prestigious journal Nature (12 June 2003), and this issue contains articles about this discovery by leading evolutionary paleoanthropologists. White and colleagues reported on the fossils,6 and another paper reported on dates, derived via the latest radioisotope methods, and on the evidence for fully human behaviour.7 Another leading evolutionary paleoanthropologist, Dr Chris Stringer, of the Human Origins Group at The Natural History Museum, London, commented on the article in depth.8 He claimed that this was further support for the ‘out of Africa’ model of human origins and against the rival evolutionary multi-regional model. These Ethiopian skeletal remains are not totally dissociated anatomically from ‘earlier’ type human bones, i.e. despite being clearly Homo sapiens, they show some features reminiscent of ‘archaic’ human anatomy. Hence the suggestion that they be given the fuller name Homo sapiens idàltu, indicating that they are a subspecies (i.e. subgroup) of our species. This means that not only are they clearly modern-type humans, they indicate a genetic connection with the types of skulls that Rossists have been trying to sideline as being not in the human family at all, including the Neandertals. The age range is regarded as ‘very secure’ using a form of radiometric dating involving argon isotopes called the 40Ar/39Ar method. As shown in ch 12, these dating methods are unreliable, but the problem is that Ross accepts them. And that puts still more undoubtedly modern humans well before his arbitary 60,000 date for Adam. But Ross argues that all pre-60,000 bp remains were merely apparently human in both anatomy and culture, and were actually spiritless ‘pre-Adamites’. But this is clearly clutching at straws, and engaging in arbitrary, imaginative speculation. 3) 6 periods of time and a rest which are the basis of our work week and sabbath/Lord’s Day rest. Fourth Commandment … in both Exodus 20:8–11 and 31:17, has the causal explanation ‘For in six days the LORD made the heavens and the Earth … but he rested on the seventh day’. 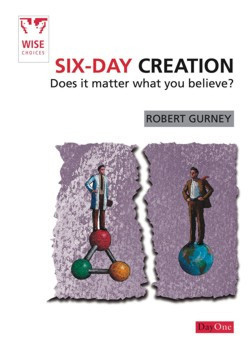 … In these passages, it’s explicit that the Creation Days were the same as those of the human work week. There is no point even trying to understand the Bible if a word in the same passage and same grammatical context can switch meanings, without any hint in the text itself. The clearest of all is the Fourth Commandment, which, in both Exodus 20:8–11 and 31:17, has the causal explanation ‘For in six days the LORD made the heavens and the Earth … but he rested on the seventh day’. The word ‘for’ (Hebrew kî, also having the sense ‘because’) at the beginning of this expression is a causal explanation, showing that the Creation Week is the very basis of the working week. In these passages, it’s explicit that the Creation Days were the same as those of the human work week. There is no point even trying to understand the Bible if a word in the same passage and same grammatical context can switch meanings, without any hint in the text itself. However, this passage does not even mention the working week! Rather, it talks about years, not days! These were symbolic representations of one time period by a different one. So it’s comparing apples with oranges. Furthermore, Leviticus is speaking of literal years, not some vaguely defined ‘period’ of time. Also, it lacks the causal connection kî. But Exodus 20:8–11 is comparing apples with apples. Hugh Ross’s disciple Don Stoner10 objects by arguing that sabbath days are merely a ‘shadow’ or type of the eternal state, which is the antitype. Supposedly this means that we cannot come to a definite conclusion about the length of something by looking at its ‘shadow’. He quotes Colossians 2:16-17 and Hebrews 8:5. I agree that Stoner is right about a shadow not determining the length of that of which it is the shadow. The Sabbath is a type of the eternal state, and, indeed, one cannot tell how long the latter is. However, since the antitype is the eternal state, we have to wonder why he thinks that has the remotest connection to the Days of Creation. There is nothing about the TIME or AGE that is required for any other part of our doctrine, why cling to it? Especially when ‘apparent age’ is so clearly an likely ! option? Adam was not created a zygote. Thus any scientist coming upon Adam would infer and OLDER history than his actual "age", why is this so difficult? Indeed, it should not be difficult: the whole point is this older history is errant as we know from the revelation that God created Adam as an adult. However, we would dispute that the earth even ‘looks’ old, although on the other hand we would says that it is old, since ~6,000 is an immense age. See The earth: how old does it look? Even many of those who believe that the earth is young think that it looks old . But does it? 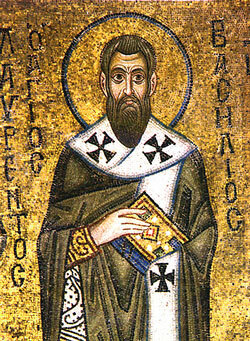 ‘It pleased God the Father, Son, and Holy Ghost, for the manifestation of the glory of his eternal power, wisdom, and goodness, in the beginning, to create or make of nothing the world, and all things therein, whether visible or invisible, in the space of six days, and all very good.’—Westminster Confession of Faith 4:1. However, there are certain revisionists, including Ross, who claim (in the face of all the evidence) that when the Reformed Confessions were written, the church did not consider the length of the days, but only that God created. That is, because the text did not explicitly state that the days were 24 hours, they were allowing for the possibility of long days. 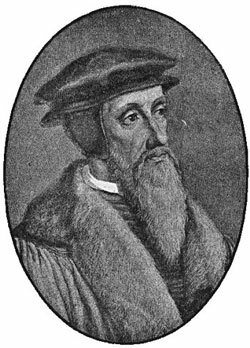 However, the Westminster Confession’s statement clearly follows the language of Calvin, saying ‘in the space of six days’. There is no room in the language of either Calvin or the WCF for anything other than normal-length days. There was no need to state the obvious—an employee asking his boss for six days vacation doesn’t have to explain that they are 24-hour days and not long periods of time! Calvin, the Haak Bible and the WCF reflect the normal orthodox view of the Reformed Faith. ‘V. 5. God called (Or, decreed it to be so called: for contrary things must be called by contrary names, Isai. 5:20, the light, Day) The word Day, in the former part of the verse, noteth the day artificial from morning till night, Exod. 16:12,13, which is the time of light, measured out to twelve hours, Joh. 11. 9. Matth. 20:3, 6, which were not more nor fewer, but longer or shorter according to the different proportion of the days in Summer and Winter: the first began with the Sun-rising, and the last ended with the Sun-setting; which division was in use, not only with the Jews, but with the Romans, Cal. Rohdig. Lib. 2. Antiq. Lection, chap. 9, but in the latter part of the verse, the word Day, is taken for the day natural, consisting of twenty four houres, which is measured most usually from the Sun-rising to the Sun-rising; or, from the Sun-setting to the Sun-setting: for the use of the word Day in this sense, compare Exod. 12:29 with Numb. 3:13 & 8:17 the first day. ‘In the Hebrew, it is one day in number, not expressly the first in order; the like expression we find in Gen 8:5, Numb. 29:1 and it is followed in the Greek, Matth. 28:1, Joh. 20:1. I Cor. 16:2. ‘This first day consisting of twenty four hours had (as some think) for the first half of it the precedent darknesse, and for the other the light newly created: the night they take to be meant by evening a part of it, and the day by the morning, which is a part of it also: and according to this the Sabbath, (being as large a day as any of the rest, and so containing twenty four houres) is measured from even to even, Levit. 23:32, the Romans, and other Western Nations, reckon the twenty four hours from mid-night to mid-night; the Egyptians contrariwise from mid-day to mid-day. i’m no novice on science or theology. I just am wrestling why some Christians espouse dogmatism in the wrong places. The whole counsel of God concerning all things necessary for His own glory, man’s salvation, faith and life, is either expressly set down in Scripture, or by good and necessary consequence may be deduced from Scripture: unto which nothing at any time is to be added, whether by new revelations of the Spirit, or traditions of men. We explain more in the ~20yo article Hanging Loose : we hold Scripture firmly, while any models we propose to elucidate Scripture, no matter how plausible, should never be elevate to this level. Dear Dr. Sarfati, I agree that the days of Genesis One must be very like the days we now experience, but how similar? Yes, they must correspond fairly closely to the period of the earth’s rotation, but was this 24 hours long at the time of creation? We read in two places in Scripture of God apparently interfering with the smooth advance of day and night—in Joshua 10 we read of an abnormally long day and in Hezekiah’s time we read of the shadow on the sundial going ten degrees backward. Must we assume that the smooth rotation of the planet started again at exactly the same rate after these interruptions? Was the average day not quite likely a few minutes—or perhaps a couple of hours—longer or shorter than it was prior to these events? Can we even be quite sure of the answer to this question? As to vegetation and fruit trees bearing fruit all sprouting within 24 hours at the time of creation, I think it would be quite sufficient for a few of the quicker growing ones to do so to provide food for Adam and Eve, who could then wait for the others to bear fruit in due season. Meanwhile, may I express my admiration for your vital—and outstanding—work for the Lord. Please congratulate your colleagues too. I thought that Joshua’s long day was a temporary interruption of the normal cycle, implied by Genesis 8:22, ‘As long as the earth endures, seedtime and harvest, cold and heat, summer and winter, day and night will never cease.’ We published an article on Joshua’s Long Day a while ago. But I am not dogmatic that the days were exactly like ours, just that they were about the same, and not thousands or millions of years. You might be interested to know that my colleague Dr Don Batten is ministering on your island right now—see details in our UK & Europe Events Calendar. Please pass on to Jonathan Sarfati our thanks and appreciation for his straight forward and clear answers in the article; "Why is CMI so dogmatic on 24-hour creation days?" These answers also give us much material to use in our own situations as we seek to present the biblical record without compromise. May God continue to bless you all with wisdom. Your responses to André‘s questions were insightful, thank you. We need to be reminded sometimes that God can do whatever He pleases, when He pleases, and how He pleases, because He is God. Thank you. As you’re no doubt aware, the answer to ‘why didn’t God make everything in one day or even one minute?’ is that He wanted to give us a pattern for the Sabbath. And the only ‘restrictions’ should be on us to believe what God said He did. If God can do anything, then can He make a being more powerful than Himself? What does God’s omnipotence really mean? Once the plants were created, days would HAVE to be 24 hours, or the plants would die. Why? … If the days were (say) 2million years, there would be one million years of light & one million years of darkness. After all, evening is the beginning of darkness, and morning is the beginning of light. The idea that inherited genetic change has totally halted would require one to believe that there are no more genetic mistakes of any kind. This unusual, counter-intuitive order of creation (light before sun) actually adds a hallmark of authenticity. If the Bible had been the product of later ‘editors’, as alleged by the Wellhausen school (‘Documentary Hypothesis’),13 they would surely have modified this to fit with their own understanding. Having ‘day’ without the sun would have been generally inconceivable to the ancients. Having the sun appear after the light would have been very significant to pagan worldviews which tended to worship the sun as the source of all life. God seems to be making it pointedly clear that the sun is secondary to Himself as the source of everything. He doesn’t ‘need’ the sun in order to create life, in contrast to old-Earth beliefs. Indeed, it is no good claiming that the days really were long ages, because the order is contrary to the uniformitarian one. 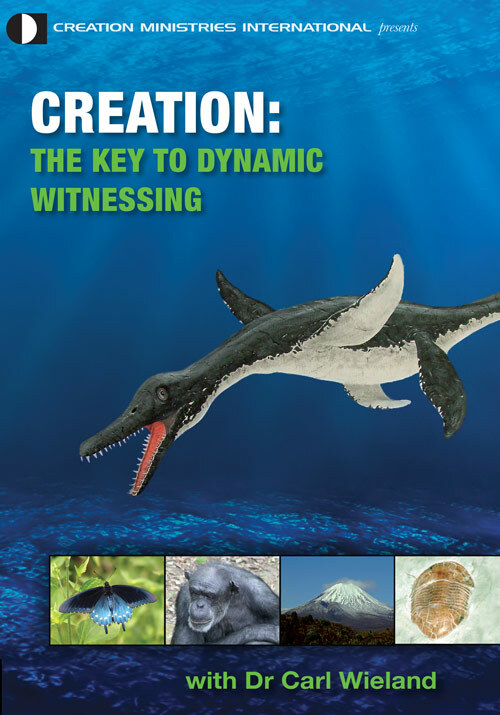 Not only vegetation before the sun, but also birds and whales before the land creatures they allegedly evolved from. See our Evolution vs the Bible comparison chart. Wonderful response to the questions! I really needed this refresher in faith! Why do we believe that God created everything and yet, then try to deny He could have done it as He said in Genesis? We, I believe, allow our minds and surrounding, worldly influences affect our belief and therefore, our faith. How long were the days of Genesis 1? What did God intend us to understand from the words He used? Thanks to Gerry Keane of Melbourne, Australia, for bringing this to my attention. Return to text. Lita Cosner, Romans 5:12–21: Paul’s view of a literal Adam, Journal of Creation 22(2):105–107, 2008. Return to text. Lewin, R., Human Evolution, Blackwell Scientific Publications, Cambridge, p.153, 1993. Return to text. Neves, W.A. et al., Modern human origins as seen from the peripheries, Journal of Human Evolution 37:132, 1999. Return to text. Schepartz, L.A., Language and modern human origins, Yearbook of Physical Anthropology 36:91–126, 1993. Return to text. White, T. et al., Pleistocene Homo sapiens from Middle Awash, Ethiopia, Nature 423(6941):742–747, 12 June 2003. Return to text. Clark, D. et al., Stratigraphic, chronological and behavioural contexts of Pleistocene Homo sapiens from Middle Awash, Ethiopia, Nature 423(6941):747–752, 12 June 2003. Return to text. Stringer, C., Human evolution: Out of Ethiopia, Nature 423(6941):692–695, 12 June 2003. Return to text. Cauchi, S., Fossils find writes new chapter in our narrative, The Age (Melbourne) 12 June 2003, p. 1 (emphases added). Return to text. Stoner, D., A New Look at an Old Earth, Resolving the conflict between the Bible and science, Harvest House, Eugene, OR, pp. 48–50, 1997. Hugh Ross wrote the foreword. Return to text. Thanks to Rev. Chris Coleborn of Victoria, Australia, for bringing this to my attention. Return to text. Bibles, Annotations, and Bible Summaries’, New Schaff-Herzog Encyclopedia 2. Return to text. Grigg, R., Did Moses really write Genesis? Creation 20(4):43–46, September-November 1998. Return to text.